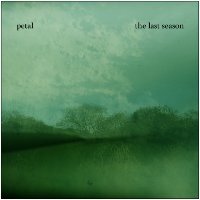 Earth Mantra is proud to welcome acoustic ambient wizard Jon Wheeler of Petal to our netlabel, with his magnificent and refreshingly unique new album The Last Season. The result was this marvelous album, a delicious and fascinating fusion of dark ambient and acoustic instrumentation unlike anything we have ever heard previously. Folks, we listen to a lot of ambient music, but we are floored by what Jon has achieved here. To transform the banjo and acoustic guitar, staples of Americana not electronica, into such evocative and mature ambient pieces as these is a flat-out jaw-dropping accomplishment. And regardless of how he produced it, the music of The Last Season is simply beautiful. This is a great release. I love the atmosphere. The first two tracks start off dark, and then things lighten up a bit with the introduction of the acoustic guitar in track 3. Really well done. The whole thing flows nicely.